Udta Punjab has finally released today with so much of struggle. If is surely and win and win condition for Anurag Kashyap and his team, although the movie was leaked, it is still hitting Housefull seats in theaters but unfortunately, in the state of Punjab itself, the movie has been released along with too much security in the malls. As reports say, around 51 malls in Punjab and 9 malls in Chandigarh have been provided full police security due to the release of Udta Punjab. To prevent any mishappening, the cities of Amritsar, Patiala, Jalandhar, Ludhiana and Pathankot have been already alarmed. 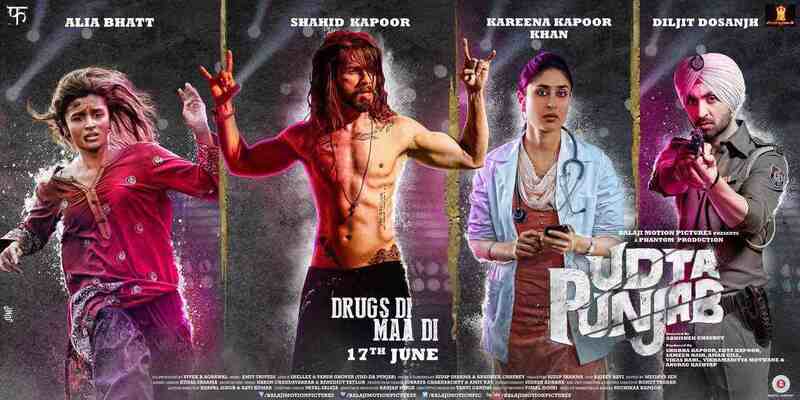 Though recently Anurag Kashyap himself asked the people to watch the movie in theaters, many people have still opted for the online leaked version of Udta Punjab. Even the Congress and Aam Aadmi Party (AAP) were also forced to appeal the citizens to watch the movie legally in theaters. Congress chief Captain Amarinder Sing has also requested the Udta Punjab team to provide them discs of the film to spread awareness among the party workers. “Captain Amrinder Singh himself is keen to watch the film,” said his Vimal Sumbly, Captain’s media advisor. The leak of the film was surely a huge loss of the team as around 70,000 uploaders leaked the movie on internet and lakhs of people downloaded it. It looked like that the Udta Punjab controversy has ended now but let’s wait and watch what else is remained to see.